The only undisputedly looted object in the Royal Academy of Art’s recent Oceania exhibition will not be going to Paris—the second venue for the show, where it opens at the Musée du Quai Branly-Jacques Chirac this spring. The unique and intricately carved ceremonial feast trough was seized by a British naval force in the Solomon Islands in 1891. In 1891, HMS Royalist under the command of Captain Edward Davis undertook a punitive expedition in the Solomon Islands, following three deaths on a British trading ship. All the houses around Roviana lagoon were destroyed and ancestral relics were seized. Treating the loot as his personal property, Davis put the objects up for sale in London, with many eventually ending up in the British Museum. The museum now holds around 50 Davis objects from the Solomon Islands, which lie north east of Australia. The British Museum’s most spectacular acquisition was the feast trough, which Captain Davis seized from the village of Kalikongu. 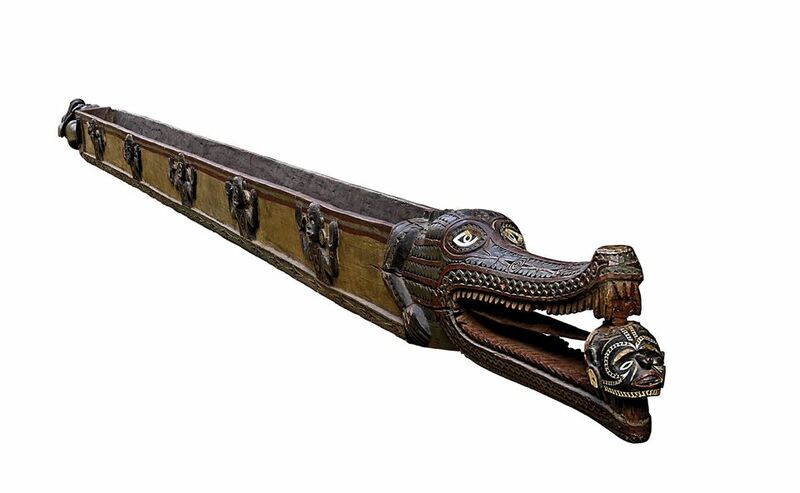 Nearly 7m long, at one end it is decorated with the head of a crocodile with a carved human head between its jaws. Davis claimed that the local people were cannibals and that “cooked captives were eaten from this bowl by the captors”, but he probably said this to increase the object’s value in London. It is likely that severed heads were sometimes displayed around the feast trough, but the Roviana chief, Ingava, said that his people “do not eat men from the trough”. Davis gave the object to Admiral Lord Charles Scott, who donated it to the museum in 1904. Although a Royal Academy press statement said the feast trough has never been displayed, it was in fact shown at the British Museum’s Museum of Mankind in Burlington Gardens between 1974 and 1985. The conservation concerns were conveyed privately by the British Museum to the Paris venue just over two years ago. The feast trough will now be going back into storage—with no immediate plans to display it. The Oceania exhibition will be at the Quai Branly museum from 12 March to 7 July. The other key object from the British Museum not going to the Paris leg of the exhibition is the Moai Hava basalt ancestor figure from Easter Island. Dating from 1100-1600, it was “collected”, according to museum curators, during an 1868 HMS Topaze expedition to Easter Island in 1868. The precise legal circumstances of its acquisition remain unclear. The sculpture was presented to Queen Victoria, who gave it to the British Museum a year later. Twenty years later, Easter Island was annexed by Chile. 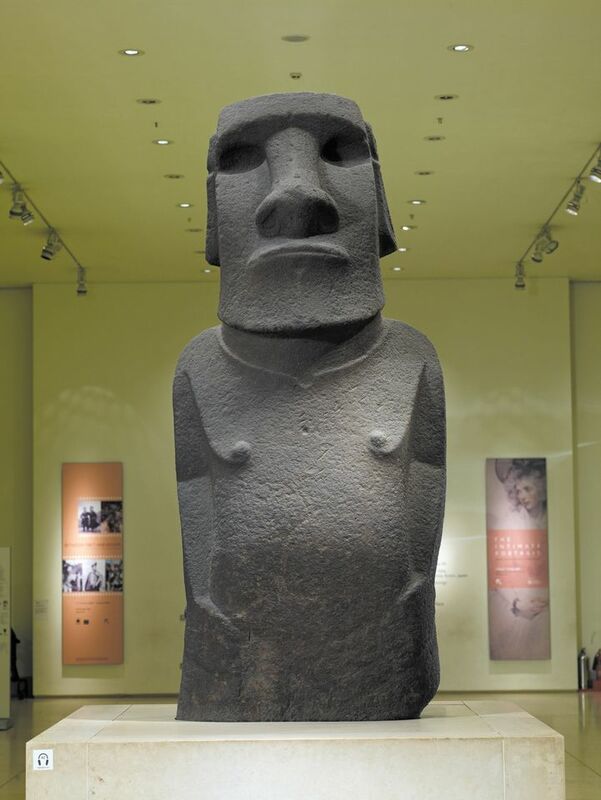 There are now conflicting views on whether the 1.6m-high Moai Hava and the larger Hoa Hakananai’a figure, which is also at the British Museum, should be restituted to Easter Island. Last November, Tarita Alarcón Rapu, the governor of Easter Island, visited the museum and asked for the return of Hoa Hakananai’a. But last month, the island’s mayor (and former governor) Pedro Edmunds Paoa said that it would be better cared for at the British Museum. Discussions are continuing and a museum curator plans to visit Easter Island later this year.